February is a short month so it’s the perfect time for a no-spend month. Reign in your spending, cut out the unneccessary, & know where your money is going. While a lot of my posts are sharing how to do things, and I try to teach and offer support, the posts related to our no-spend month are going to be more of an online journal. A way to keep me accountable and share what is or isn’t working. I’m hoping that we can be an encouragement for each other as we all strive to have better control over our personal finances. For the past several years, we have taken the month of February as a time to reign in our spending after the holidays. Since February is such a short month with only 28 days, it seems like anything is possible since it is only 4 short weeks. I don’t know what it is about those extra 2-3 days in the rest of the months that make things seem more challenging, but either way February has always worked for us. We are a single income family of 5, and the university only does payroll on the last banking day of each month. One income. One paycheck. That’s all we have to work with. My husband has worked for the university for 18 years, and while it was hard to adjust to the pay schedule in the beginning, and again when I stopped working outside the home, it is something that we are used to and I think is also a positive thing when it comes to how we structure our budget. A few of the other details … We are homeowners so each month we have a mortgage payment, gas/electric, internet, cell phones, and a quarterly water/sewer bill. There are also college loans (mine), a car note, car and homeowners insurance, and a credit card that are paid on monthly. And since my husband works outside the home, there are transportation costs that include gas and occasional tolls. During our no-spend month, there are some things we have to pay, like our monthly bills. Even though we have a fairly well-stocked pantry, we will be spending money on groceries and household items as well. We have a Flexible Spending Account (FSA) that can be used for eligible medical expenses, and we will continue to use that for medications and chiropractor visits during the month. That will also be used to cover any co-pays since this is the time of year we usually end up needing at least one doctor visit. I have also had to budget for a few items that we don’t need on a regular basis, but are due in February. We have also decided to budget for 1 family day out which will include dinner out. 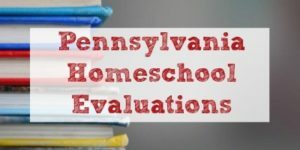 We haven’t decided on what we are doing for that day out yet, but there are a lot of options in our area that go from over the top expensive to particularly frugal. I can guarantee we will fall more on the frugal end of the spectrum for this one. 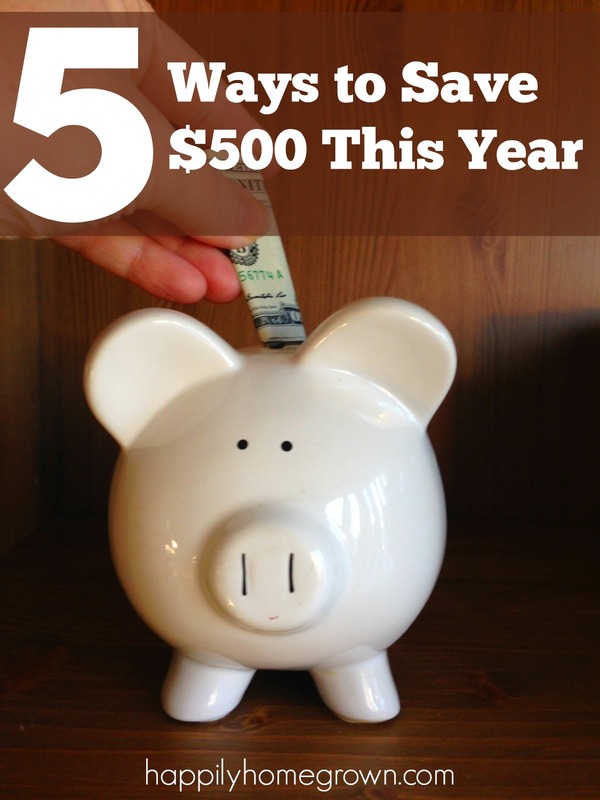 For us, a no-spend month means not spending on items that we haven’t budgeted for. There won’t be carry out, something we typically do once a week. We won’t be spending on Valentine’s Day gifts. We won’t be spending on additional clothing, craft supplies, or homeschool items. I’m going to purchase more ingredients to make our snacks instead of relying on packaged treats. During this time, I’m also going to be cutting our grocery budget. We have a lot of dry goods on hand and there is still quite a bit of beef in the freezer from last year’s cow. That may mean we have more dinners that contain beef than usual, but it will also mean I don’t have to purchase as much chicken and pork to get us through the month. I’m going to evaluate what we have on hand when meal planning and planning each week’s grocery shopping instead of sticking with my standard list (which is bound to have items on it that we now have in excess in the pantry). For the budgeted items, I’m also going to spend a little more time comparison shopping to get the best value and will use coupons for the jeans and sneakers. I know some people have a no-spend month and try to cut their spending in half. I’m not an extremist. Trying to save that much would stress me out way more than its worth. 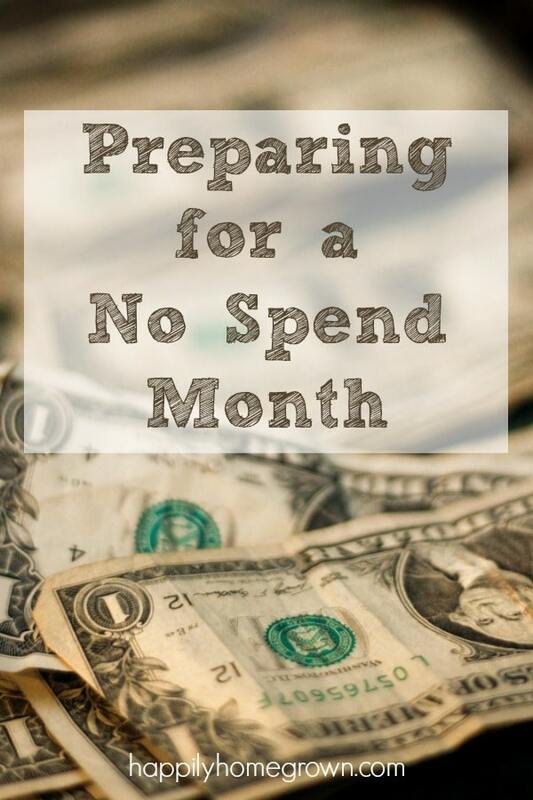 My goal in having a no-spend month is to cut back the unnecessary spending, live a bit more frugally, be aware of where my money is going, and have a small surplus at the end of the month. The money that we save will go to our emergency fund and a lesser amount will be put towards installing our new gardens. 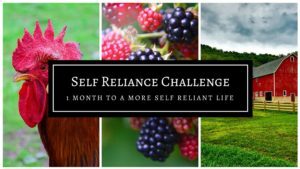 I started out as a frugal living blogger almost 9 years ago, and for the next month, a little of that is going to resurface here on Happily Homegrown. January was about becoming more self-reliant, and that is the perfect set up leading us into a month where the goal is to spend less. 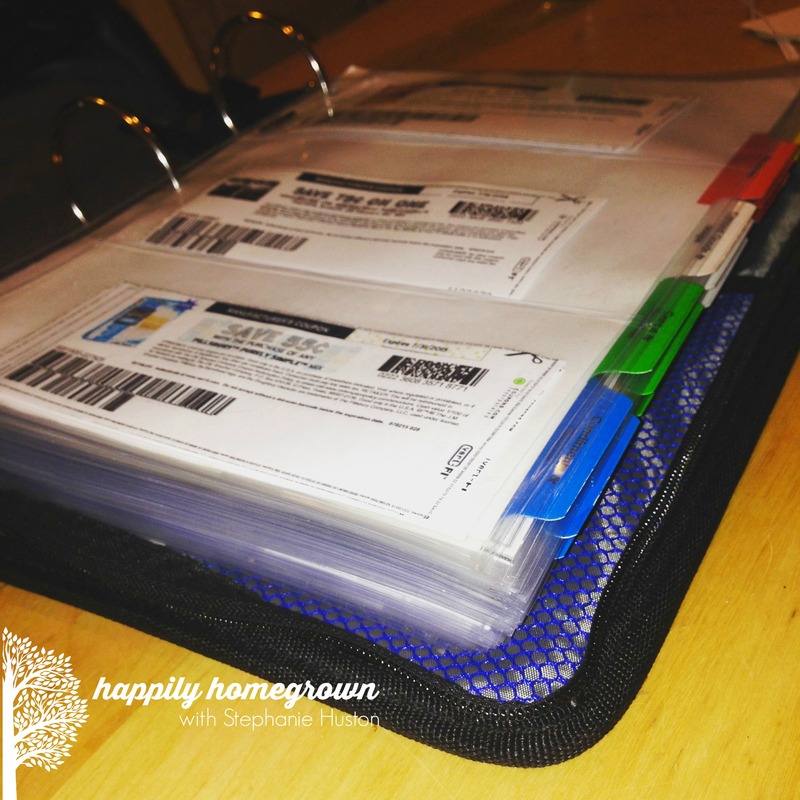 I’m using my blog as a way of staying accountable, but more so, I am relying on all of you in our Homemaking Basics group to hold me accountable as well. I want you to share your tips for saving money and your own successes with having a no-spend month. 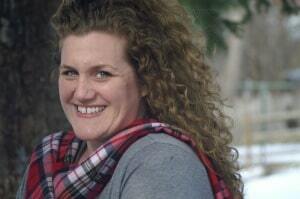 Come join the conversation in our Homemaking Basics community. Click the image below to join.